Bio balls in containment bags. It is not the bio-balls in a wet/dry trickle or other type of inert biological filter that go bad. Just like with an undergravel filter, it is the "lack of proper maintenance" that turns them into a nitrate factory. If you periodically rinse them off and keep them clean, nitrate and bio-balls woes should decrease, as long as this is the sole source of the nitrate problem in the aquarium. Cleaning them requires only 30 minutes or less. Place some new saltwater in a five gallon plastic bucket, or any other type of good sized deep plastic container. This is where you will rinse and clean the bio-balls off. If you are planning for a water change, water removed from the aquarium may be used for this as well. Remove about 1/4 of the bio-balls from the filter chamber and place them into the container with the saltwater. Stir and swish the bio-balls around in the saltwater to break all the gunk or organic matter loose that is stuck on them. If they are extremely dirty, you may have to repeat this step. Do not scrub the bio-balls! Just allow the saltwater to do the job, nothing more than that. Scoop the rinsed bio-balls out and place them back into the filter bio-chamber. A plastic kitchen colander works great for this, but any type of cup or small container with drain holes in it will do. The bio-balls come out, the yucky water stays behind. Test for the appearance of ammonia every few days for a week, then every several days over another week after that. If the tests read near zero after this time, it is ok to repeat the process. If ammonia does appear, wait until readings drop back to zero, then wait another couple of weeks after that before repeating the process with the next batch of bio-balls. This procedure is suggested to be performed on aquariums that have been running for at least 4 months, because the nitrifying bacteria have had time to develop a strong population, and in all likelihood the bio-balls have begun to accumulate a substantial, but not overwhelming amount of DOCs (Dissolved Organic Compounds) on them. Never use freshwater to clean the bio-balls, and never clean all the bio-balls at once, as this in all likelihood will cause your system to crash. Because this procedure strips away and weakens the nitrifying bacteria population present on the bio-balls that the aquarium relies on to keep ammonia and nitrite in check, only clean about 1/4 of the bio-balls during any one cleaning session. If your system has been running for sometime, say longer than 6 months, with no bio-ball maintenance at all, it may take a little time to get them cleaned up first. After that you can determine when periodic cleanings need to be performed based on how your individual system is set up and functions. You'll learn to know when it needs to be done. Test for cleaning by lightly stirring up the top layer of the bio-balls. You will see gunk break loose. The only problem here is that in most all cases the mass of the organic matter settles in the bottom layer. You can stir the bio-balls up from the bottom, but be careful doing this because you may get a bunch of gunk shot into the tank if the filter output goes directly into the tank. This procedure can be used to clean not only bio-balls, but other types of biological filtration mediums as well. 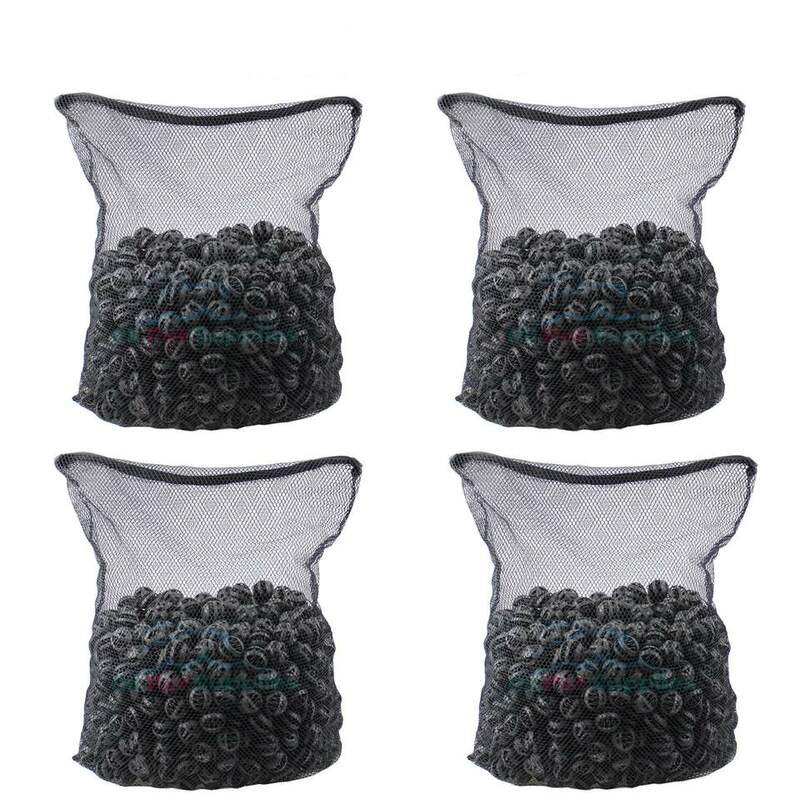 If you just want to clean the gunk out of the bio-balls and don't care about the bacteria that is on them, just put your dirty bio-balls into an old pillow case and run it through your washing machine on the "gentle" cycle with a little laundry detergent for a few minutes.